Is your living area lacking that special touch only floor lighting can add? 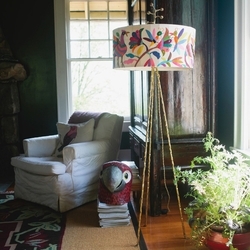 Our attractive coastal floor lamps will help you bring in more than just brightness. 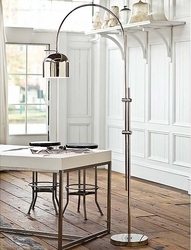 Choose from our collection of classic beach themed floor lamps or contemporary pieces if modern is your thing. 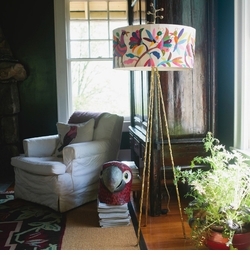 Cottage & Bungalow�s floor lamps work great for beach house decor, cottage, coastal living and a variety of other decor styles. Light up your bedroom or use them in your living room to illuminate your sofa or couch. You�ll be able to add them to any layout and due to their space saving nature you won�t have to sacrifice floor space. 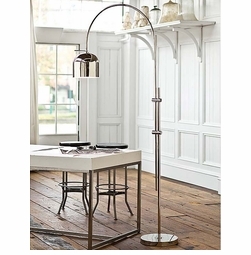 Browse our selection of styles below to find that perfect coastal floor lamp!